Read his comprehensive post below about the risks and action needed, and this Guardian report that the Victorian Government is seeking “urgent” talks with the New South Wales and South Australian governments to forge a united front against Prime Minister Tony Abbott’s stance on climate change. Bushfire season in the Adelaide Hills is one of increasing insecurity. Watching this week’s huge bushfire from the upper slopes of Mount Lofty where we live, there were five long days and nights to ruminate on the human predicament in relentless climate change. This is a region of undulating hills and valleys heavily wooded between countless small highly productive areas of vines, orchards, small holdings with sheep and cattle and horticulture, and interspersed with small towns and hamlets. In 40 years of living here the environment has changed; less rainfall, commensurate with all of southern Australia, more extremes, longer heatwaves leading to more tinder-dry days, lower groundwater and longer bushfire seasons. Bushfire conditions and imminent bushfire induce an anxiety state, of life suspended and a future vanished. How does one rebuild one’s life after disaster? The bad omens are written on the anxious faces of those in court proceedings from previous disasters around the nation. My memory reverts to another country during the war with my childhood suspended by nightly wait for the bombs; there might be a few days respite but they would surely return. Today the air raid sirens are transformed into the bushfire screech on local ABC radio. These traumas have always existed in rural Australia. But with increasing and more extreme weather events, there is a sense of progression to the unmanageable. Insecurity is further engendered with the recognition that governments have neither the understanding nor the will to address the causes, and by the realisation that little is being done to address the resilience needed. The government, enclosed in its cacoon of denial, indulges in minimalist statements on climate change whilst systematically dismantling existing effective emission reduction strategies. It must be recognised that this week’s South Australian fire was controlled superbly and courageously by the CFS and excellent government disaster planning was apparent; this epitomises our capacity for emergency action when we all pull together. The Ash Wednesday fire in SA killed many, and the current fire caused no deaths. This is progress, but the good news ends there. In Australia our track record shows the unsatisfactory management of those people who have been chronically harmed by extreme weather events physically, mentally and financially, and who can languish for years with dislocation and homelessness. This is the real and ongoing personal cost of disaster. 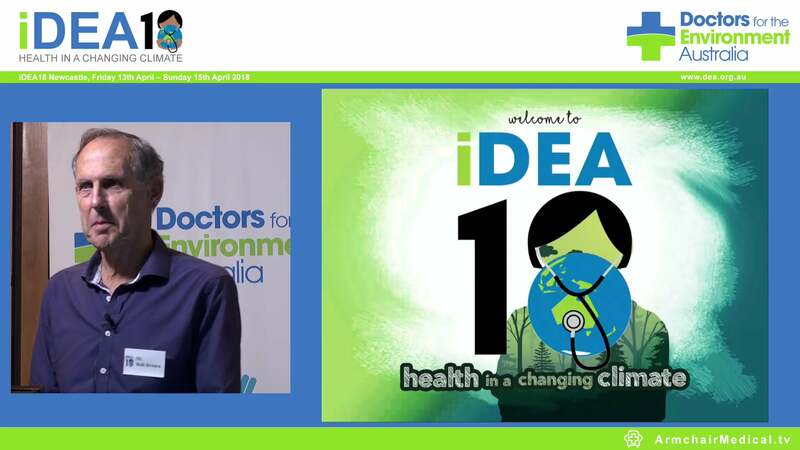 Doctors for the Environment Australia has also recommended adequate health service planning to cope with changed conditions and demands to enable the adequate treatment of expected increases in the numbers of injured and ill resulting from extreme weather events, immediately and in subsequent months and years. Yet health forms only part of the costs. The Productivity Commission’s 2014 draft report on natural disaster funding states that current funding arrangements are prone to cost-shifting, ad hoc responses and short-term political opportunism and create a financial disincentive for state and local governments to invest in mitigation and insurance. It recommends mitigation funding should be increased to encourage governments to manage natural disaster risks more sustainably and equitably. During this week’s emergency, two statements by Federal Treasurer Joe Hockey were in my head like the recurrent bushfire smell. They were: “climate change is no impediment to economic growth” and “countries could not afford to deal with global warming if they were in recession”. These are dangerous misunderstandings. Around the world budgets are being eroded by the cost restitution from disaster. The trajectory of these losses suggests a future for “growth” as economic activity for restitution with no real advances for society. As for affording action, the world is mostly in recession, but who waits to pay off the credit card before replacing the roof that has blown off? Furthermore, the cost of climate change is mounting. The US estimates it will need $150 billion each year for damage by storm, fire and drought to infrastructure, public health and biodiversity, and New York recently announced a $20 billion resilience plan for its eight million inhabitants. For Australians to await a balanced budget before committing to action on climate is to act like a tramp in Waiting for Godot. 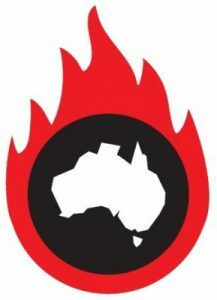 In a submission to the Senate on extreme weather events ,Doctors for the Environment Australia called for the establishment of a National Disaster and Recovery Fund with a levy on the predominant source of anthropogenic CO2 emissions, coal and gas production, to provide immediate finance for each disaster without the need for drastic cuts to existing budgets. This is a practical and logical response for the mitigation of climate change which is impossible without a rapid transition from coal. The greatest irony and injustice is that while investment in preparing for and mitigating climate change events is grossly inadequate, our government plans to continue to fund further global warming in the form of $46 billion subsidies to the fossil fuel industry over the next four years. The government wrongly believes coal is cheap and represents the future, but in the meantime rural communities in the Adelaide Hills and all over Australia face an increasingly frightening and uncertain future. Please note: The images of the Croakey blog are not being used.